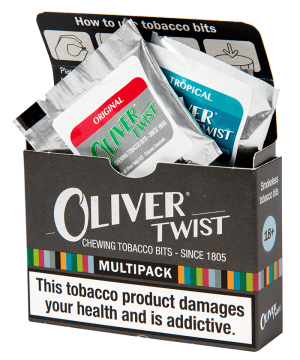 Oliver Twist are small hand-rolled tobacco bits available in 6 different flavours. 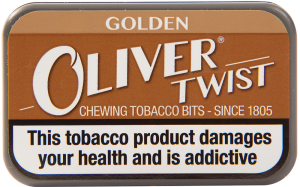 Our tobacco bits are made from whole tobacco leaves, which contain the naturally occurring amount of nicotine in tobacco. 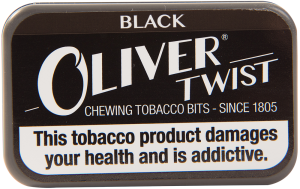 Oliver Twist gives you the opportunity to use tobacco with a natural nicotine content. 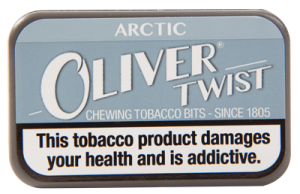 You can use the tobacco bits anywhere. 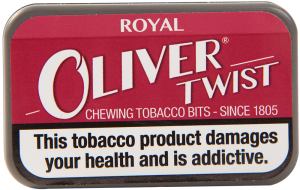 They are not harmful to your surroundings because they are smokeless. Many use them during travels, on the job, in the car or during social events where smoking is prohibited. 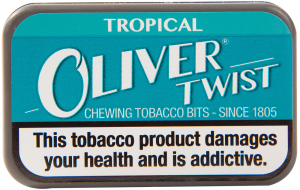 Place a tobacco bit between your jaw and cheek. The natural nicotine content will be released slowly. Keep the tobacco bit in your mouth for 30-60 minutes. 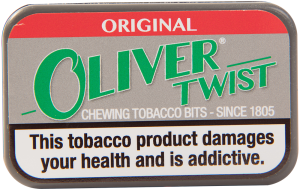 Do not swallow the bit; throw it away after use like a piece of chewing gum.